I guess I'm a little past due with blogging, since my sisters got on my case. I think they just want to see pictures of their beautiful faces and posts describing how absolutely wonderful they are...which wouldn't be far from the truth. Christmas Eve was spent with the Johnson's. We went out to dinner at Olive Garden and then came home to open some gifts. Take note of the lovely BYU Cougar santa hats given to us by Lori and Carl. They are the bomb! We also got a new BYU flag to hang on our car on game day. 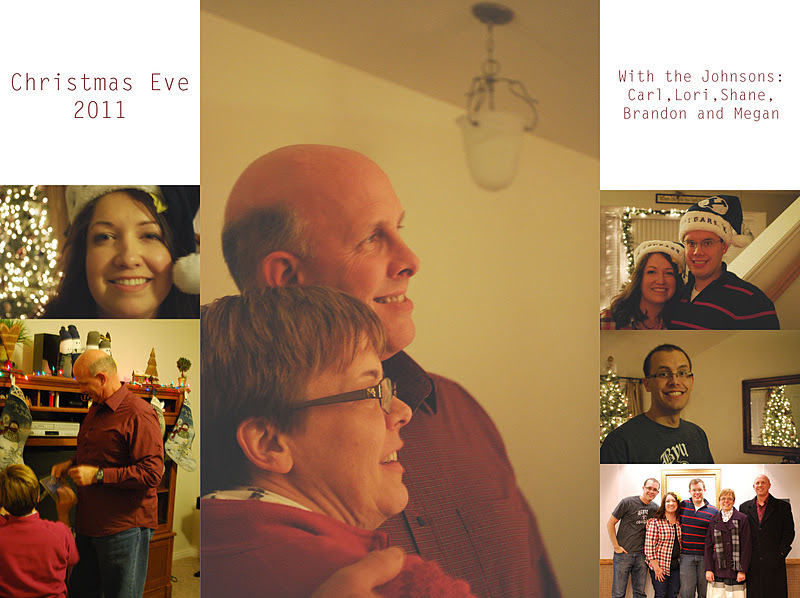 Lori was playing the piano for a special Christmas Eve song devotional for their ward, so we went to that afterwards. The night ended with a rousing game of "It Came To PASS". This is the game we played on the first day I met the Johnsons. Have you ever played it? It is so fun, so I bought it for our family for Christmas and the Shaw's absolutely love it and ask us to bring it at every gathering. 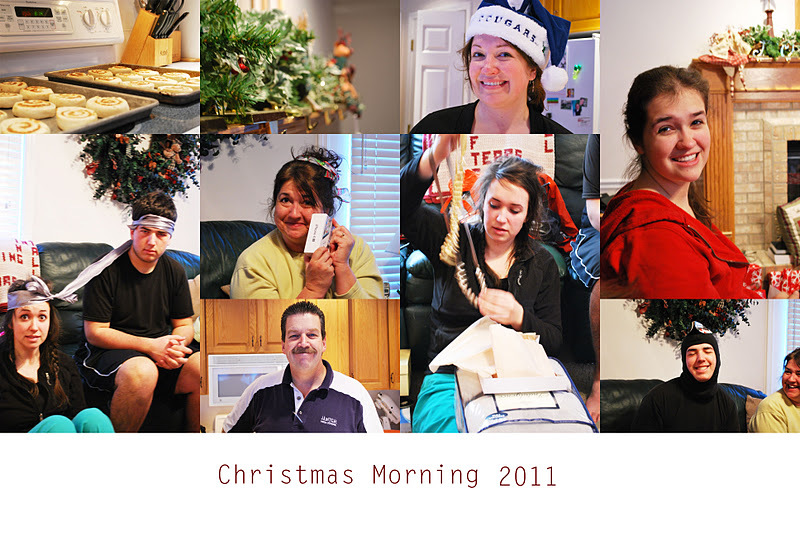 Christmas morning, we opened our gifts to each other and headed over to the Shaw's for some Christmas breakfast. I opted to help out with the breakfast and make some breakfast taquitos. Dad cooked sourdough pancakes and, of course, traditional cinnamon rolls. In the midst of getting breakfast ready, we opened gifts. I decided to go handmade on W's gift, which you can see above. I was pretty pleased with myself. We also got her a fleece throw, just in case the necklaces were a complete disaster. I think she enjoyed both...although I haven't seen here wear my creations yet. She will. I know she will. In the meantime, Tay will steal them and wear them instead. After breakfast, we headed home to get ready for church. We got there a couple of minutes late and we had to walk up to the choir seats in front of the whole packed congregation, while my pantyhose kept falling down and I had to grab them from behind...trying to be nonchalant. Let's just say, by the end of the meeting, my nylons were down by my knees. Total. Disaster. Oh well. I didn't grab any pictures of the rest of the day, unfortunately, but we had lunch/dinner with the Birch family and played some monopoly. It was a holiday full of FAMILY, which is the way it should be. We love our family.